In the Middle East, dates have played a major role for thousands of years as an abundant food source. Dates are thought to be from the Persian Gulf area and have been produced from eras such as Mesopotamia and during times as early as 6,000 BC. There have also been traces of evidence that show dates being cultivated in Arabia around 4,000 BC. Arabs would also sprinkle dates around Spain and into North Africa. In 1765, Spaniards introduced California and Mexico to dates right around Mission San Ignacio. Dates grow in four stages: sun-dried, ripe (tamr); soft, ripe (rutab); crunchy, full-size (khalal); and unripe (kimri). In North Africa, Arabia and Iraq, dates are considered an important and traditional crop. There significance is also mentioned in the Quran. Some dates, primarily Deglet Noor and Medjool, are cultivated in the United States (mostly southern California). Before bearing fruit, date palms generally take about 7 years to harvest and require 10 years of preparation for commercial use. 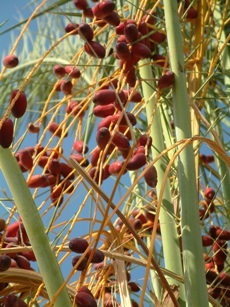 Adult date palms are capable of producing 80-120 kilograms of fruit for every harvest season, even though they will not all ripen at the same time. In 2005, the top ten dates producers (1000 tons) was Egypt, Saudi Arabia, Iran, the United Arab Emirates, Algeria, Pakistan, Sudan, Libya, China, and Tunisia. Because there are traces of dates from periods that date back to centuries BC, the specific origin of the date is not known. It is said, however, that they come from places around North Africa and Asia. The Palm tree that produces dates is found usually with many trunks and only one single root system. They are a medium sized tree ranging from 15-25 meters tall. The leaves are 3-5 meters long and have spines. The total width can be anywhere from 6-10 meters in length. The date comes from the genus Phoenix, which is mostly produced to be eaten. Dates contain a great source of energy and Vitamin C. Dates become very concentrated upon drying because they contain almost no water, but Vitamin C is lost during this process. Date clusters usually hang down from the crown of a tree and the fruit of this tree is a drupe that has been given the name date. They are oval-cylindrical, 3-7 cm long, 2-3 cm diameter, and before ripening, range from bright red to bright yellow in color. The color of the date depends on the variety that is being grown. Dates contain a single seed that is about 2-2.5 cm long and 6-8 mm thick. Dates can be seeded and then stuffed with fillings like marzipan, lemon peel, candied oranges, and almonds or eaten right out of the hand. They also can be used in many different dishes such as cakes, bread, pudding, and many more dessert trays. They can be processed into many forms such as, alcohol, vinegar, powder, syrup, spread, paste and cubes. During Ramadan, when the sun sets, yogurt and dates are part of the traditional first-meal in Islamic countries. In some Islamic nations, dates are even used as non alcoholic champagne to celebrate religious and special occasions. In addition, dates can be cut into smaller portions and then combined in recipes to make a variety of dishes, such as pies, puddings, cakes, bread and other delicacies. Dates can also be found individually packed or in preserved dried forms in supermarkets around the country. They also can be dehydrated, ground into a powder, and then mixed with grains to create feed for the livestock. Dates that are dried are commonly used to feed dogs, horses, and camels in the Sahara region. Peppers and dates are added to certain beers in Nigeria to make the beer less intoxicating. The leaves from dates are considered to be vegetables and are cooked in many countries. Seeds that are finely grounded can be combined with flour to produce bread when there is a scarcity of wheat or flour. Also, the date palm has flowers that are edible and can be used when cooking fish or in salad preparations. In Ghana, North Africa, and India people use the sap from date palms during the conversion of sugar, alcoholic drinks, and molasses. In North Africa the sap obtained from tapping date palm trees is known as lagbi. If left to cure for a sufficient period of time (typically hours-depending on the temperature) lagbi easily becomes an alcoholic drink. Special skill is required when tapping the palm tree so that it does not die. It is also used to make Jallab, which is a syrup produced in the Middle East from dates, raisins, grape molasses, rose water, caramel, and citric acid. Other uses for palm trees that produce dates include the use of its trunk for wood. The seeds from dates can be chemically processed to create oxalic acid. Also, silversmiths use the seeds from dates to create charcoal and necklaces. In some areas the seeds are grounded to be a replacement for coffee or added to coffee (8). The palm leaves are commonly used as a religious symbol in Christianity. The full-grown leaves are made into fans, baskets, screens, and mats. When the leaf is dried it can be used in the production of walking sticks, fuel, fishing floats, and brooms. The leaves are also used as a lulav in the Jewish holiday of Sukkot. 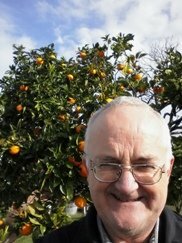 Stripped fruit clusters are used as brooms. In Pakistan, thick syrup made from the ripe fruits is used as a coating for leather bags and pipes to prevent leaking. Date palm wood is used for posts and rafters for huts because it is lighter than coconut tree wood and more durable. It is also used for construction of bridges, aqueducts, and parts of dhows (Arab selling vessels). Leftover wood is burnt for fuel. Where craft traditions still thrive, such as in Oman, the palm tree is the most versatile of all indigenous plants and virtually every part of the tree is utilized. The palm tree is used to make functional items that range from rope and baskets to beehives, fishing boats, and traditional dwellings. Dates are consumed today in many ways that are similar to the way people used and consumed them years ago. In supermarkets, dates are most commonly found in dried forms and are combined with cereals and breads. Dates are also eaten out of the hand when they are dried or fresh. They are also prepared with salads, made into syrups, baked in cakes, and used to produce alcoholic drinks. Dates contain calcium, magnesium, phosphorus, potassium, iron, zinc, copper, manganese, selenium, vitamins A, A1, B, B1, B2, B3, B5, B6, and C as well as a variety of amino acids (2), (8). 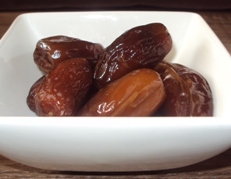 Dates also contain thiamine, riboflavin, niacin, and pantothenic acid. These vitamins and minerals help the body produce hemoglobin, which is a protein in red blood cells that binds to oxygen and carries oxygen from the lungs to tissues (7). Potassium is an essential mineral that the body needs to maintain proper muscle contractions including contractions of the heart muscle. 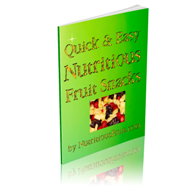 Potassium also promotes a healthy nervous system and efficient metabolism in the body. One serving of dates contains 240 milligrams of potassium, which is more than the amount of potassium found in bananas (3). Dates also contain carbohydrates that include 3 grams of dietary fiber and 29 grams of naturally occurring sugars such as fructose, glucose, and sucrose. In other words, one serving of date contains 31 grams of carbohydrates that supplies the body with large amounts of energy (4). Dates in addition to being a good source of dietary fiber are sodium free, fat free, and cholesterol free. Each of these factors are important for reducing the risk of developing heart disease and cancer. The fiber found in dates comes in two forms, soluble and insoluble. Soluble fiber has been shown to help control diabetes by decreasing high blood sugar as well as lowering high cholesterol, specifically low density lipoprotein (LDL) cholesterol. Insoluble fiber increases the body’s ability and rate at which food is processed through the digestive system (5). Finally, dates have phenolic acids like gallic acid, protocatechuic acid, caffeic acid, p-coumaric acid, o-coumaric acid, vanillic acid, syringic acid, and ferulic acid. However, a sufficient amount of carotenoids and antioxidants is lost when dates are sun-dried (1). Dates have astringent properties and also possess the power of cleansing because of a large amount of tannins that can aid the symptoms that accompany intestinal problems (6). They have been used quite often to treat colds, sore throats, bronchial inflammation, and for fever reduction in addition to many other related illnesses (6). 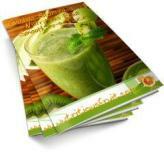 In some cases, they have also been known to neutralize and reverse alcohol intoxication (6). The powder from the seed can also be used for certain medicinal concoctions. In India, a gum from the trunk has been used to help treat genital-urinary infections and diarrhea (6). The roots of palm trees are used to calm a toothache (4). The pollen from dates’ flowers contains a form of estrogen called estrone and this molecule has been shown to have a strong gonadotropic effect in young rats (6). Studies have shown that dates have potent anthocyanins, carotenoids, and phenolics, which like most other fruits, have antioxidant properties (1). Al-Farsi M, Alasalvar C, Morris A, Baron M, Shahidi F. Comparison of antioxidant activity, anthocyanins, carotenoids, and phenolics of three native fresh and sun-dried date (Phoenix dactylifera L.) varieties grown in Oman. Journal of Agricultural Food Chemistry, 53(19):7592-9. Ali-Mohamed AY, Khamis AS. Mineral ion content of the seeds of six cultivars of Bahraini date palm (Phoenix dactylifera). Journal of Agricultural Food Chemistry, 52(21):6522-5. Al-Shahib W, Marshall RJ. 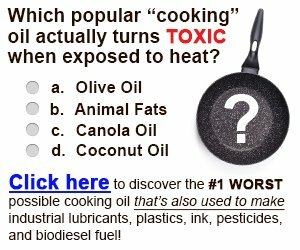 (2003) The fruit of the date palm: Its possible use as the best food for the future? International Journal of Food Sciences and Nutrition, 54(4):247-259.